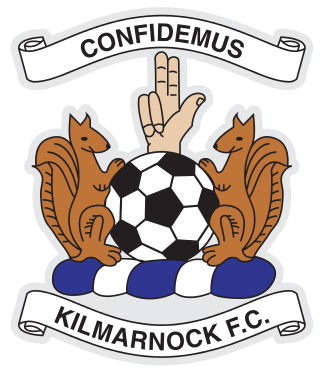 Fasan, Simpson, Broadfoot, Findlay, Taylor; Dicker , Mulumbu, McKenzie; (Power 16), Jones, Kiltie, (Brophy 76), , K.Boyd, (Cameron 92). Subs Not Used: MacDonald, S.Boyd, Wilson, Burke. 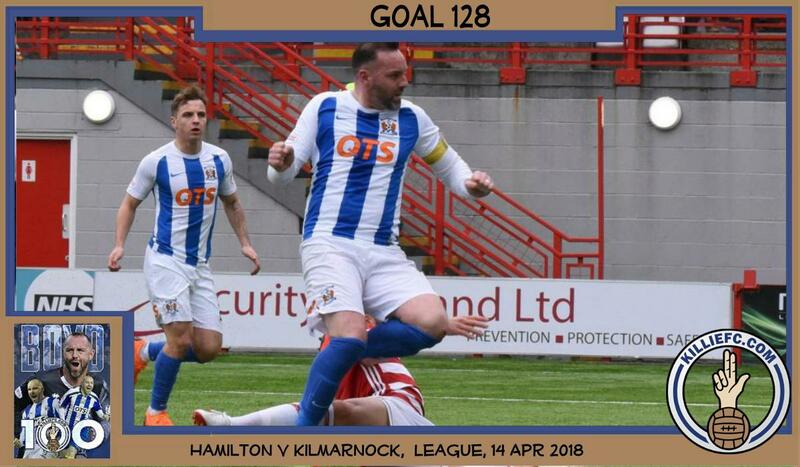 Kilmarnock beat Hamilton Academical in the final Scottish Premiership match before the league's split to move to within four points of fourth place. 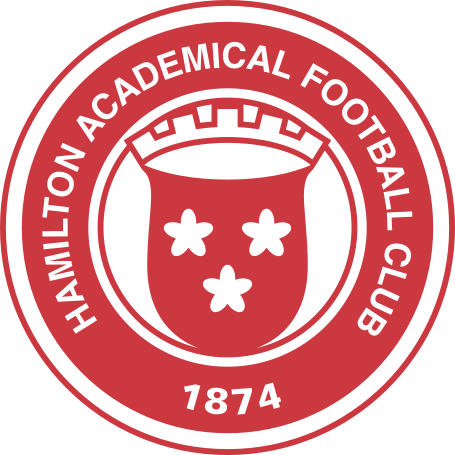 Darian MacKinnon fired against the Killie crossbar and Accies' Rakish Bingham and Lewis Ferguson were denied by keeper Leo Fasan in the first half. 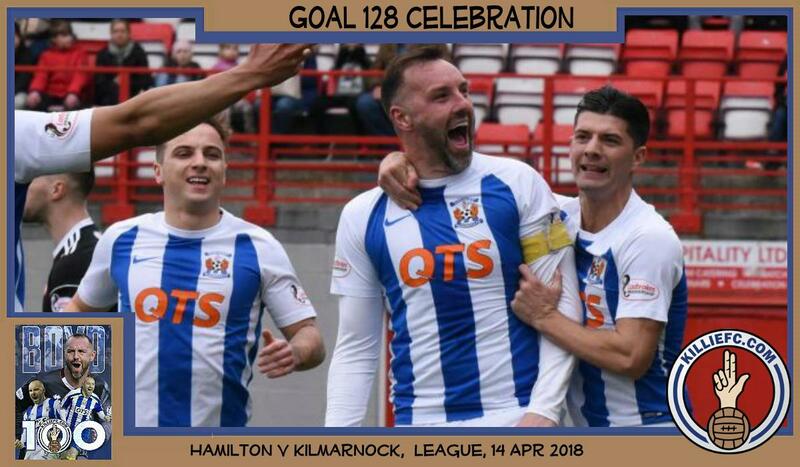 Kirk Broadfoot headed home from close range to put Kilmarnock ahead but David Templeton's free-kick levelled matters. Kris Boyd (right) tapped in Aaron Simpson's delivery and this time Killie held on. 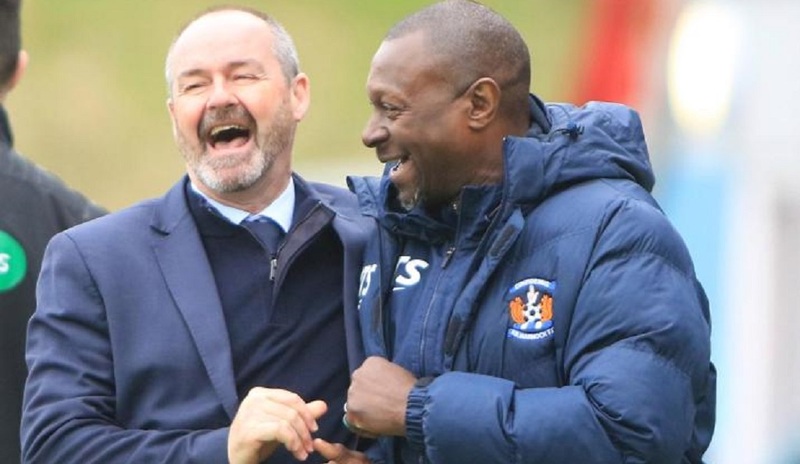 Steve Clarke's side, who win for a sixth successive game and extend their unbeaten league run to 11, move closer to Hibernian going into the final five rounds of fixtures against their fellow top-six sides. Steve Clarke: “When the team is playing well and picking up results week in, week out, the supporters will come. “I knew if we could get a good connection between the players on the pitch and the supporters that they would come back. “They like their club, they’ve had a difficult few years and I think they are more than entitled to enjoy this little spell. “It’s great to see them here in such big numbers. Hopefully, post-split, we can get two good crowds at Rugby Park for the games against Hearts and Aberdeen. “This is a difficult place to come. You saw that last week when Celtic came here".